Had enough college football yet? 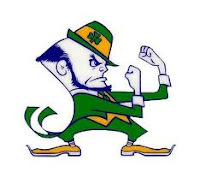 Nah, neither have I. Fortunately, we still have a handful of games remaining, including the national championship next Monday evening in which the Notre Dame Fighting Irish will whip the Alabama Crimson Tide. In the meantime, the new year brings new meetings and the very first one is the next meeting of the Costa Mesa 60th Anniversary Committee today! TOMORROW, Thursday. It will be held at the Emergency Operations Center, 99 Fair Drive (next door to the Police facility) and begins at 5:30 p.m. The agenda for this meeting, HERE, includes the election of a Chairperson and Vice Chairperson. The two folks who have expressed interest so far in the chair are Melinda Lowery and Mike Scheafer. The original plan was to have a meeting of this group every Thursday of January to get a running start on the numerous events that have been discussed. Next Tuesday, January 8, 2013 the Costa Mesa City Council will hold its first meeting of the new year beginning at 6:00 p.m. in council chambers. It will be preceded by a closed session meeting beginning at 5:00 p.m. No agenda is yet available for that meeting. A NEW "KINDER, GENTLER" YEAR AHEAD? So off we go into a new year, full of hope for a kinder, gentler year than the past two have been. We'll see how that goes. We'll see if new Mayor Jim Righeimer will be able to actually take a more conciliatory position and not try to jam his own personal ideas down our throats. I don't know if you saw the Daily Pilot article last weekend, HERE, that profiled him and included interviews with several other local figures. It's long, but makes for good reading. It talks about his relationship with Orange County Republican Party Chairman Scott Baugh - something we've addressed many times here - and with his pal, Mayor Pro Tem Steve Mensinger. It addresses his animosity with unions which explains a lot of his actions over the past couple years. Take a few minutes to read it. Finally, we here at A Bubbling Cauldron hope you all had a wonderful New Year's celebration and that you've made resolutions you can actually keep. I'm keeping my fingers crossed for all of us. I don't know about "kinder and Gentler", but I am waiting with bated breath for OCEA's proposal to dig us out from under growing pension and healthcare costs to taxpayers here in Costa Mesa. My new project for 2013 is to promote the idea that when we pay an employee for services provided, we have completed that transaction and will no longer be putting our kids, for generations to come, on the hook for future "unforeseen" losses in pension investments or health care cost increases. While I don’t know you, I feel I can deduce some things about you from that one sentence. My primary inference is that you are confident you are well prepared for the rest of your life and eventual death. By that I mean you’re sure you won’t need anyone beyond yourself, your family, and reliable, caring friends for your personal needs. Further, even though that supreme confidence is a hallmark of the under-twenty cohort, I’m guessing you’re not a teenager. And so my next guess is that you are a middle-aged man, but haven’t yet had a midlife crisis that you’ve had to work your way through. Paired with that, in health, you are still robust: you still have a lot of resilience, both physical and mental. You still recover quickly from weekend warrior overexertions and you still recover quickly from illnesses and jump right back into work. You expect to be hale and hearty even after retirement and up to the day you gracefully drop dead. You’ve done well with your investments so far: they have been prudent ones that have never given you any knockout surprises, nor will they ever. They are appreciating fast enough so that, after retirement, you’ll have plenty of money for bills, entertainment, family obligations, and caring support for any lingering deaths from, say, Alzheimer’s or congestive heart failure. You are probably self-employed or have inherited a ton of money. Less probable is that you have won the lottery big time. Since you clearly feel you are master of your own fate but are a prudent man, you have taken out life and health insurance on yourself and your family as well as long-term care insurance in case investments go sour and you and/or your spouse need 24-hour care for a long time, say ten years. I assume that, as a man of principle, you will not apply for Social Security and Medicare benefits if you live long enough to qualify. Further, if you are running a business that has employees, you view them as chattel (rhymes with cattle), and your principles would stop you from granting any health and retirement benefits to them … even if turnover is high because they cut and run as soon as they can find a better job. I could be wrong, but I have to assume that you feel you are the kind of rugged individualist who made America great. If we had Kentucky-style forests here and you had a coonskin hat, you’d be one who would carve on a tree “B. Krochman killed a bar on this tree,” only you’d display correct spelling and grammar because of your excellent education perhaps gained from a public school. All in all, I have to conclude that you are a very smart and successful person; you feel you’ve made it on your own; and you are convinced that, if you could make it by dint of persistent, huge effort in surmounting all obstacles, everyone else should be able to do the same. And if they can’t, it’s because they are lazy and haven’t tried hard enough, so they deserve whatever happens to them. If you want a short label for all this, it appears you are a social Darwinist who believes American life should be ruled by survival of the fittest. Finally, if you wanted to round out your understanding of life, I’d suggest you read Les Miserables by Victor Hugo. You would be wrong on so many counts. But enough about me. What you will not have to deduce in any way is my interest in providing for municipal employment as a way to fulfill the needs of the city, not as a form of welfare as you seem to be suggesting. Happy New Year Mr. Egan. wow, Tom is off the deepend and not just about crows this time. Tom: sounds like Bruce is talking about defined contribution pensions rather than defined benefit pensions. Look them up. Will be clearer. Actually, what I am promoting is pension plan agnostic. If the unions want to provide a defined benefits plan, that wouldn't bother me at all. As long as the unions were on the hook for any cost variances over time. If that means they have to dig deeper into union dues to cover shortfalls in the future, that is their issue, not the taxpayers. Conversely, if they have to pay less because of better than expected returns, good on them. They can pay a dues rebate to their members. My proposal is one that simply assures taxpayers that when they have paid an employee's wages and benefits and anything else they have negotiated, they are paid. Period. For those who don't know Social Security is a DEFINED BENEFIT. Granted the formula for SS is lower than Pers. Somewhere around 1.5 now at 67( it was lower age wise I think 62 recently). But SS also can only invest in Gov. Bonds and not the Stock Market like Pers can which as we have seen can return much greater returns and yes sometimes less. The actuaries are the ones who messed this up. It is not that the city employees are evil or were evil. In fact the Costa Mesa General City Employees when they asked for their 2nd ever enhancementin 2007/2008 PAID for it based on 2 actuarials input. Mayor Eric Bever at the time in 2008 praised the General City Employees for understanding the economics and offering to pay for it. Mayor Bever made the motion and Mayor Pro Tem Allan Mansoor 2nd the motion. It passed 5-0. One of those pers exeperts that confirmed the costs was the cities own expert John Bartell. Then your general city employees more than 2 years ago agreed to reform incoming hires back to 2 @ 60. Which FYI is what the formula was back in 1978 when the city went from SS to Pers for full time employees. Costa Mesa City Employees did this as one of the first cities to do so and they got vilified by so many inpsite of that reform. They also agreed to pay their entire share at that time over 2 years ago. Jim Righeimer, if he is sincere, I think is headed in the right direction now to sit down and talk with the employee groups and negotiate to see if there is more that can be done. Fire recently made some big concession, I believe Police will too. The Vilified evil, union thugs the General City Employees did over 2 years ago. Just some perspective if we are going to have this debate. I’m not espousing welfare, just putting out a reminder that we’re all in this together. All of us. But if he was talking about some form of pension, it’s worth noting that it’s very important to be upfront in any discussion about where old age risk would lie … with the employee (defined contribution) or the employer (defined benefit). 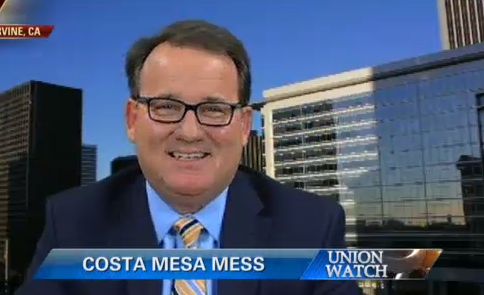 And because “everything is connected to everything else,” it’s important to be aware that issues get very complicated for large organizations such as the City of Costa Mesa. In addition, each employer/employee relationship is unique, whether private or public employment, so what works for one organization probably won’t work in all particulars for another organization. All these considerations suggest to me that there’s no quick, simple solution to this City’s responsibilities to workers and workers’ responsibilities to the City. Ayn Rand might puke at this idea that there’s no quick, simple solution, but we’re talking real life here, not ivory tower ideology. Bruce, you only gripe about unions, but what about all the high priced managers? Shouldn't they be on the hook too? I never see you mention Hatch, Frances, Lobdell, etc. in your rantings and neither does Robutto. If pension debt is such a concern to you, how come there was no outrage about all the new positions on the 5th floor, many who were hired before the City initiated pension reform? Sam, the problem with the pensions in 3@50. I never lump in the general employees or managers due to this. It is the public safety pensions that are killing the budgets of cities across the State. Not only higher pensions but a higher number of people. Not that many managers on the 5th floor and they pay more into their pensions. (their "share"). Public safety pays how much of their "employee contribution"? Also, we need managers in place to administer the contracts as we outsource in the future. It is a "vision" thing. I am not singling out any one group. I am promoting a policy change that essentially insulates the taxpayers from being held financially responsible for the health benefits and retirement payments to employees that are long gone from the city's payroll. Council members, managers, public safety, gardeners; it doesn't matter. I don't think taxpayers should be a annuity for anyone. And to answer Mr. Egan's comment, yes, that includes SSI and Medicare/Medicaid. They should be means tested and capped and used as a safety net. But as all politics is local, that is where I am starting. The posts here actually addressing policy rather than attacking advocates of certain positions is a fantastic change. Are they all coming in this civil or are some being deleted for content? A good change either way. Good news for you Mr. Krotchman is the city does not payout retirements to retiree's, PERS does that and always has. I can't speak for other city employees, but any officer hired by CMPD after 1993 or 1994 DOES NOT have a post retirement city paid health or medical insurance benefit. So, much like being one of the first if not the first to pay anything towards the employee share of retirement costs (currently 5% or over 50% of the cost) CMPD is way ahead of the game. Happy New Year to all and go Irish! That would be great news indeed if it were really correct. In fact, Costa Mesa has an unfunded liability to PERS. As for the city not paying, you are technically correct, the money is invested by PERS and paid out by PERS. The liability for costs above what employees contribute is the city's and ultimately the taxpayers' none the less. Rubutto, you weren't supposed to say "also we need managers in place as we outsource in the future. It's a vision thing.." Don't you remember? The people of CM are too dumb too figure that out so don't tip them off. I was disillusioned about Riggy &Co.’s sincerity about pension reform when they first talked with some of us about hiring cronies at top-tier salaries to manage Riggy’s dream of a “Contract City”. More disillusioned when he created full-time positions for former associates who had been operating with $3000K a week temporary contracts and hired them full time before a second tier was in place. Fat executive salaries and first tier benefits to friends when a second tier was in sight are one reason I am not a loyalist. Y’all should wake up. Mr. Krochman, just accept the fact you and I disagree as to these issues. You can point to whatever you want that you believe justifies your side. Bottom line is "unfounded liability" misstates the issue because it assumes no further contributions or investment growth. But, I will throw you a fact you won't like a agree with. PERS conservatively estimates it can fund retirements for all current employees and current employees with no further contributions or investment growth. I won't direct anyone to any articles, but I will encourage interested parties to call PERS themselves for the facts. As for health care, CMPD cops hired after '93 or '94 don't get post retirement medical. Another fact. Again, call and find out for yourself. I for one, am sick about this amped up argument about "unfunded pension liability". It sounds horrible. It's a "liability" and it's "unfunded" and it's GOD FORBID , a "pension". The numbers batted around by certain Councilmen, usually include the added penalties of early cancellation from the plan. They do this to inflame the situation, not provide any illumination or facts to the discussion. If I walked around every month when my house payment was due, and wrung my hands over the $300,000 dollars I owed, that would be a good comparison. Our unfunded liability is about $5 million a year. Which breaks down to about 400,000K a month. The City brings in about 10 million a month. Now that there is some PERSpective.....we have been negotiating that down for years , even before Righeimer ever got on the dias. Costa Mesa being one city can't do this on its own. At the end of the day we are in a competitive labor market, as seen by the mass exodus of valuable city staff over the last two years. Gov. Jerry Brown signed the law AB340 which did more to lower pension formulas than anything statewide. I don't want to hear anymore about 3@50. The new hire tiered system is 2.5@67, and 2@57. This is the new benchmark we can now base our hirings upon. I'm glad there is a kinder, gentler, approach to dealing with the negotiating partners. I am hoping I don't have to traipse up to that damn podium ever again. I am also hoping this council is getting serious about restoring the levels of service that have been needlessly and expensively squandered. Restoring SRO's is a start but I feel one forced more by current events than any real dedication to doing that which is right. Also, I won't be giving Council any credit for restoring what never should have been taken away in the first place. That just takes a certain type of hypocrite that belongs only in congress, and not managing our city's affairs. Will Sandy Hook Tragedy Restore Costa Mesa SROs?